It’s Spencer Tracy month on TCM, which officially makes October even more awesome than it naturally already is. I have one word–no, two–for Tracy’s dexterous performance in this film: Utterly. Captivating. 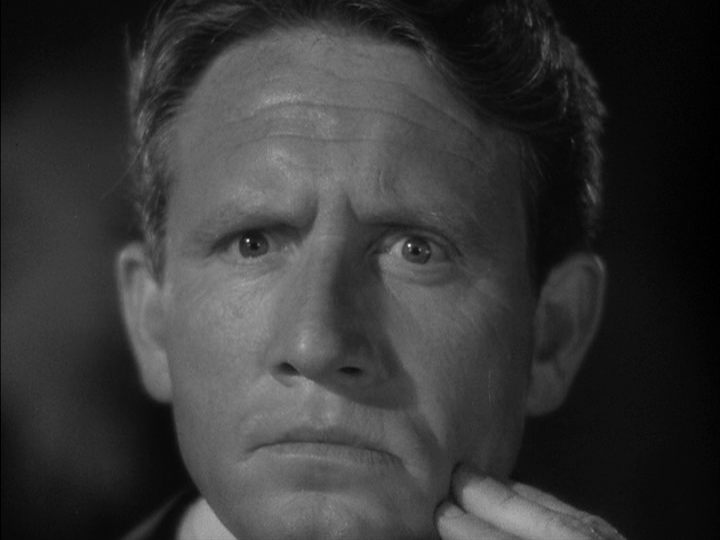 Spencer Tracy, however, hated his performance, believing it to signal the end of his acting career. Contemporary critics and audiences agreed; the film was a notorious failure, both critically and commercially. For me, though, watching Tracy transform from the kind, respectable Dr. Jekyll to the menacing Mr. Hyde was…well, frightening. 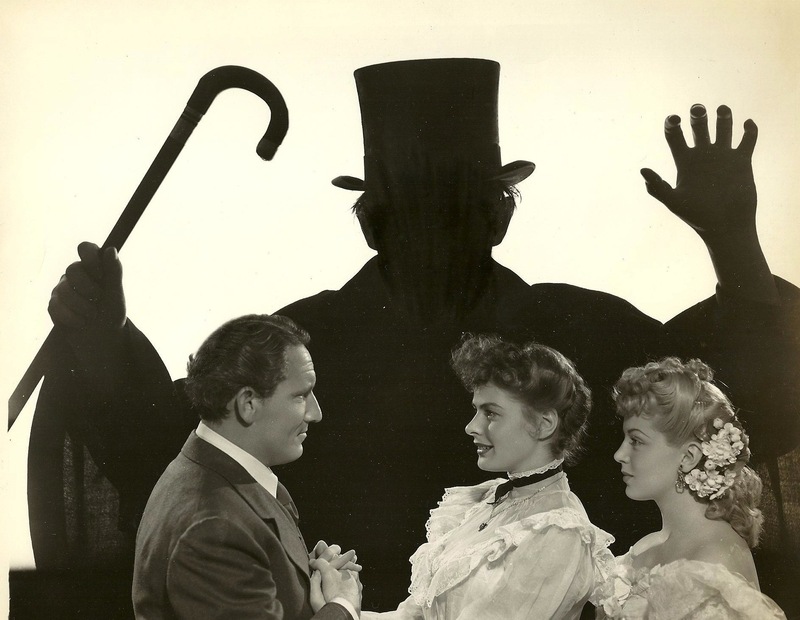 Critics and audiences felt Tracy’s performance as Dr. Jekyll was too bland. I’m sorry, did I miss the part in the story where Dr. Jekyll was supposed to be this charming man? Wasn’t part of Jekyll’s attraction to his darker side was that he felt that his “good” side was too boring? Besides, Tracy was never a handsome leading man. Cary Grant he is not. He always came across on screen as completely ordinary, which is what makes so many of his performance so real and captivating. Katharine Hepburn once compared him to a potato: “A potato is pure. It’s of the earth, and it’s dependable; that was Spencer.” Too true. I, of course, was plenty scared. 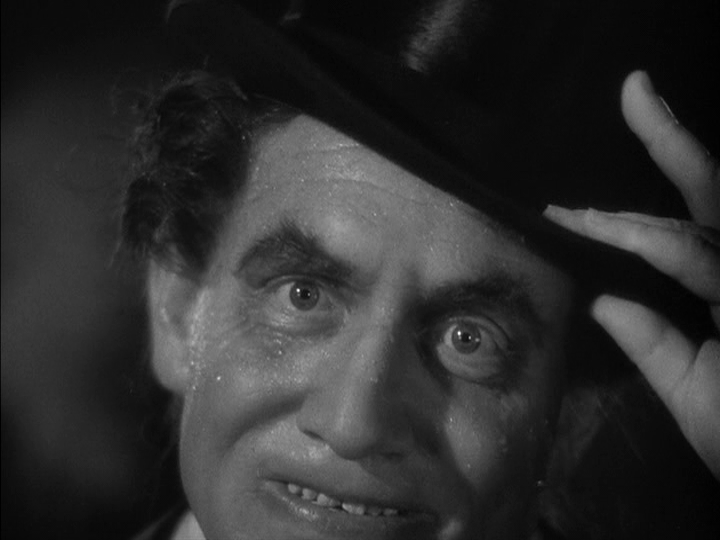 Just as Tracy was convincingly normal and stable as Dr. Jekyll, he was equally convincing as the cruel Hyde. We now live in an age where there are virtually no limits on the graphic nature of films. In 1941, Hyde’s violence is implied, rather than excessively shown, and that subtlety makes it even more frightening to me. Do we see Hyde beating Ivy (Ingrid Bergman)? Do we see the bruises on her body? And do we need to in order to understand the scope of Hyde’s violent and cruel nature? I don’t think so. Now, why was it necessary for me to include that I had rented this film from the local library? I’ve never read Robert Louis Stevenson’s novella; I actually did not know he had written it until I watched the film. I had knowledge of the basic premise of the story, enhanced, of course, by Dark Shadows‘ employment of the story in the 1970 Parallel Time storyline. So I really wasn’t sure of Jekyll’s and Hyde’s fates. I had an inkling, based in part what happened on Dark Shadows, but I was still biting my fingernails–metaphorically speaking, of course, because biting your fingernails is a nasty business. With no more than two minutes left of the film, the DVD freezes. Arrrrrrrrrrrrrgh! That’s the problem with library copies. There are people in this world who have no respect for property and just don’t take care of things. They don’t wash their hands and smudge DVD discs. Or they don’t put the discs away properly, resulting in scratched discs. Or they are actually warlocks and witches and casts spells on DVDs once they’ve returned them to the library so nobody else can enjoy them. And some people just watch too much Dark Shadows. Anyway, I did manage to navigate the disc enough to see final seconds of the concluding scene properly, but it was still a frustrating experience. Tracy may have hated it, audiences may have hated it, and don’t the critics always hate it? But I loved it.